We are driven to support people who face barriers to employment to get a job and stay in that job and see the value of our supporters contribution. People who experience barriers to employment hugely benefit from the support of Stepping Stones NI to gain qualifications, training and paid jobs. We are very proud to support their work. We believe that everyone should have the opportunity to explore their true talent and develop a pathway to a bright future. Every day we see the value of our work supporting people with Autism, ADHD, Dyslexia, learning difficulties and learning disabilities. We see confidence and social skills grow, we see qualifications achieved and we see what it truly means for our trainees, families and carers when they secure a paid job or work placement. The support we receive from our volunteers and the business community is vital to achieving this change. We could not achieve what we do without you. There are many ways to support us to make a difference. Contact us today to discuss how you or your organisation can make a difference to the lives of people with a learning difficulty or learning disability. Every penny raised makes an impact. Be part of the change you want to see. There are many ways to get involved with Stepping Stones NI and volunteering is one of them! Put your skills and expertise to good use by volunteering in one of our six social enterprises or services. You will be part of an award winning organisation that ensures quality and performance to the highest standards. Develop your skills and learn new things as well as working alongside our amazing trainees and dedicated staff. We have volunteers who come to us individually or as part of their organisation’s employee supported volunteering programme. No matter what time you can offer we want to hear from you! There are of course lots of other ways to support our work and make a difference to the lives of people with learning difficulties and learning disabilities. Just get in touch to find out more! Help support our work by raising vital funds so that we can change the lives of people with a learning difficulty or learning disability. We appreciate everything that our supporters do to raise money for us. They do all sorts of things such as run, walk, climb, jump, dance, bake and donate! Every penny makes a positive impact and we appreciate every effort. If you would like to get involved and help us to raise money so that we can do more get in touch. 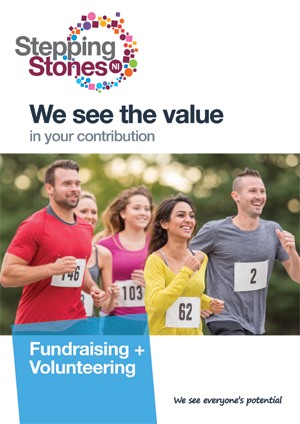 We will provide you with a fundraising pack, branded t-shirts and advice on how to create a fundraising event or generate funds as part of something you are already doing. We see the value in your contribution. We value the support of the business community and individuals who make a positive contribution to our work through sponsorship and donations. We appreciate those who see the value in what we do as sponsorship and donations help us do more. Make a positive contribution in your community by helping us reach out and support people who have Autism, ADHD, Dyslexia, learning difficulties and learning disabilities to realise their full potential. We support our trainees and clients to get paid employment. We see people’s lives changed every day. With the right support people who face barriers to employment can skill up, get a paid job and stay in a job. This is what we do and our supporters money helps us to make this happen. If you or your business are interested in supporting a charity that creates life changing experiences for people in your community talk to us today about sponsorship opportunities and donations. Smiley Monroe is a leading manufacturer of customised conveyor belts and rubber parts for crushing, screening, recycling, road construction and environmental industries. 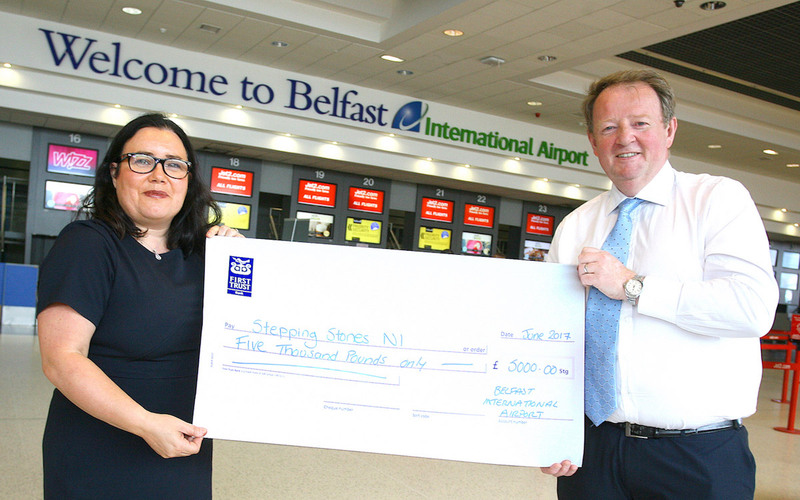 Recently they chose Stepping Stones NI as their charity partner to raise funds to support our work. Lisburn based, Smiley Monroe is a family run, privately owned business with a well trusted brand that is now reaching a global market, exporting to more than 40 countries worldwide from the West of Ireland to the West Indies and now Asia. 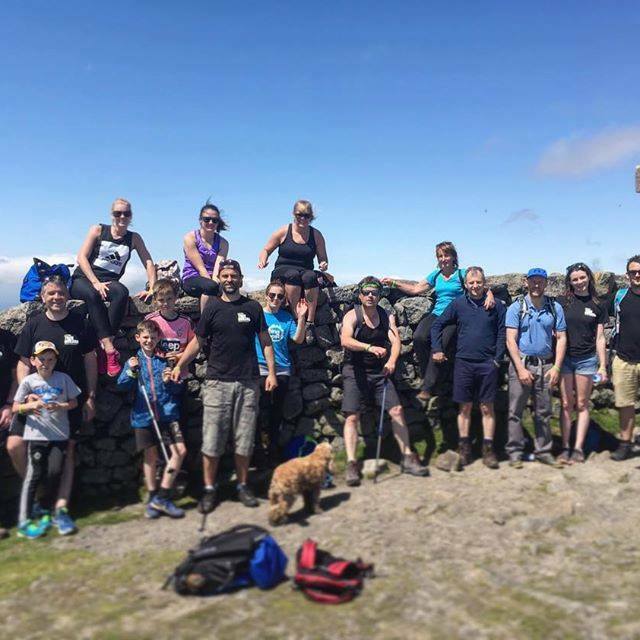 Smiley Monroe kicked off their fundraising challenge by undertaking a Trek up the Mournes and are currently utilising our social enterprises – the creative skills of Pink Elephant Cards for the design of event invitations and Picture Framing for capturing milestone moments of their business success.